Travel organisations "Koning Aap", :"Shoestring"en "Your Way To Go", for their annual donations. Online printcompany Helloprint for donating pens with logo. CBS "Boterdorp", Bergschenhoek. 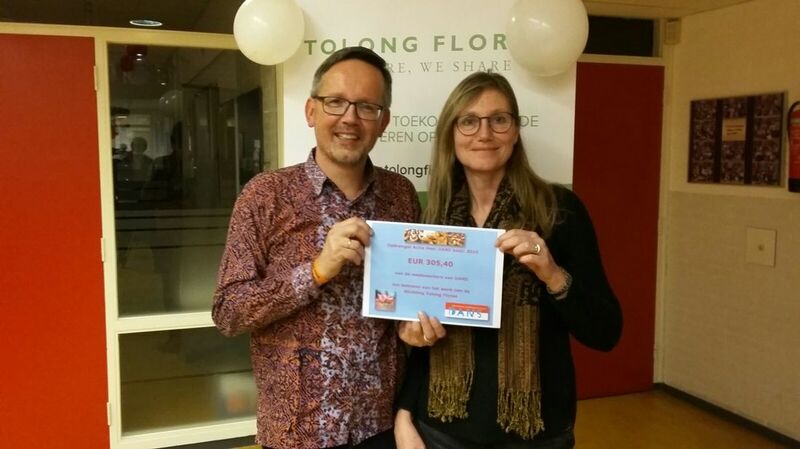 For having donated their Christmas-offertory to Tolong Flores and for organizing a charity-run wich € 1800,- has raised. CBS "De Rank", Koudekerk aan den Rijn. They are saving on a regular basis for us, sometimes even raising extra funds with their projects. PCB "De Stromen", Alphen aan den Rijn. They are raising funds for us by annual schoolprojects.